Trying to reduce the carefully choreographed drama to one stage and one audience risks misunderstanding the signal. It seems many media observers are confused by events in Syria and the swirl of competing narratives. Did the Swamp drain Trump? Did the Neocons succeed in forcing Trump to follow their lead? Is the U.S. ramping up yet another endless war? Consider the possibility that none of these narratives actually get to the heart of what’s going on. To make sense of all this, we’re going to have to delve into topics far below today’s headlines. I think Ilargi (The Automatic Earth) got it right in his recent essay Symbols of Strength, in which he proposed that the entire cruise-missile exercise had little to do with Syria and everything to do with signaling Trump’s willingness to use force to China’s President Xi Jinping. Signaling is a term that is currently much in vogue. I used it in my recent essays Virtue-Signaling the Decline of the Empire (February 28, 2017) and It’s What’s Happening Beneath the Surface That Matters. The original idea of signaling, drawn from economist Michael Spence’s job-market signaling model, has become confused with communication. In other words, communication isn’t a signal. A quizzically raised eyebrow, a scoffing chuckle, a wry comment–all of these telegraph emotional content as well as information. But these are not signals. A signal is a form of communication, but its cost must be high to be persuasive.A signal can provide information on intent, depth of commitment, willingness to accept the risk and much more. A signal is often intended to communicate different things to different audiences. To understand signaling, we need to understand the difference between force and power. 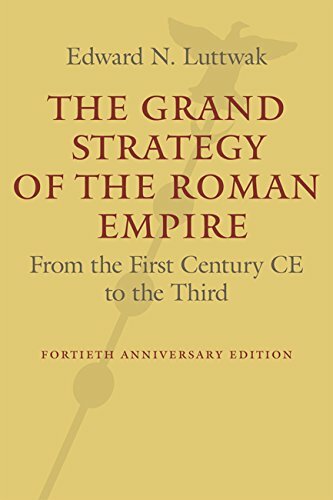 Edward Luttwak ably described the difference in his book The Grand Strategy of the Roman Empire: force is a mechanical input (expense) that doesn’t scale: it takes a lot of people, effort and treasure to force others to comply with Imperial edicts. Power, on the other hand, is ultimately the sum total output of the Empire: its productive capacity, resources, human and social capital–everything. Power influences others without direct coercion. This allows the Empire to extend its influence without having to bear the enormous costs of applying force. Luttwak explains that power results from positioning military assets to serve political power objectives. That is, the assets must be positioned to credibly threaten the use of force anywhere in the Empire, but the job of maintaining influence/control is done more by signaling the readiness and ability to use force rather than having to put the force in the field (a very costly and risky venture that often turns out badly). In other words, the perception of power and the willingness and ability to apply force is what matters in terms of political influence. If we look through this lens, we discern a much different picture of what may be going on with the cruise missile attack on Syria. Previous article by Charles Hugh Smith: Is Your Democracy Actually a Totalitarian State?